is a New York-born film critic who lives in Rome. He has been reviewing films for the Entertainment industry trade paper, Variety, since 2003. In October 2015, he was appointed Artistic Director of the Pordenone Silent Film Festival, widely considered the premiere event of its type in the world. He was the co-curator for the Capellani programme at Bologna’s Cinema Ritrovato, and is one of the organizers of the Ottoman Film Project. 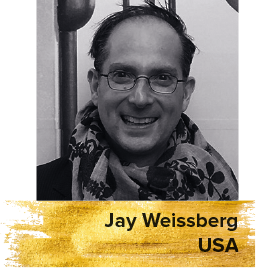 A frequent participant of festival juries, he has traveled throughout Europe, the Arab world and Latin America to cover film events. He has been a guest of the Harvard Film Archives/Gulbenkian Foundation’s Cinema Dialogues, as well as acted as mentor in initiatives for young film critics.